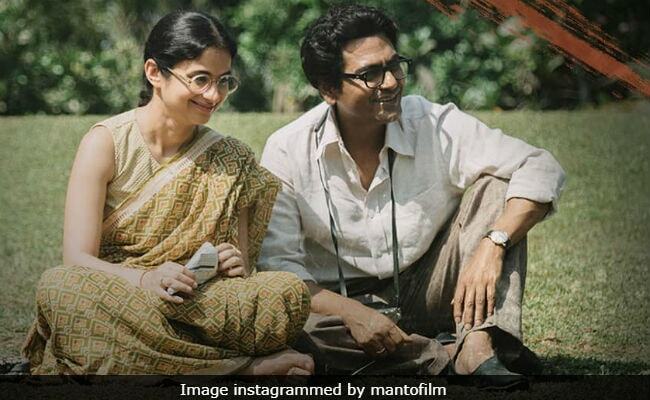 Manto Movie Review: Nandita Das' film can be described as the Garam Hawa of our times. A paan-seller, Govind, is mentioned in passing early in Nandita Das' Manto. However, in the larger context of the film's central narrative, the relationship the protagonist has forged in his mind with the hawker is far more significant than it seems. The maverick writer owes the former one rupee. As he leaves for Lahore in the wake of the Partition violence, he tells a friend, 1940s Mumbai cinema star Shyam Chadda, that he will not repay the sum so that he never forgets his debt to his beloved Mumbai, where his mother, father and first-born are buried. That moment brings a lump to the throat. Not to say that the film's writer-director is looking to orchestrate audience emotions in obvious ways. What she does instead is exhort us to remember the horrors that were triggered by the Partition of the subcontinent. But are we up to it? That is the question that Manto poses to all those who are willing to heed the cautionary tales that the combative, sensitive, prolific Urdu short story writer Saadat Hasan Manto authored in a short but brilliant career. The narrative, a free, illuminating blend of biographical details and five of Manto's hard-hitting fictional tales - the two are inextricably intertwined - is designed to underscore the anguish of an individual and the terrible repercussions of a line that cleaved the subcontinent in two in 1947. Manto's is a compelling story, but the cinematic account that Das has crafted of a few crucial years of the writer's life is understated. She is aided all the way by the three principal actors - Nawazuddin Siddiqui, Rasika Dugal and Tahir Raj Bhasin - to modulate the drama. Equally marvellous is a veritable parade of stars of Mumbai's contemporary independent cinema - Divya Dutta, Tillotama Shome, Ranvir Shorey, Shashank Arora, Vijay Verma and Chandan Roy Sanyal, many of whom have no more than walk-on parts, playing Mumbai movie industry and literary personages ranging from Bombay Talkies fulcrum Ashok Kumar and musical star Jaddan Bai to composer Naushad and writer Krishan Chander. Not to be missed is Javed Akhtar in the role of a Pakistani academic who stands up for Manto in a court of law where he has been accused of writing obscene literature. Manto wrote unflinchingly about what he saw, experienced and felt at a time when "religion leapt from the heart to the head" and wreaked havoc on a scale rarely seen before. He was an unstoppable force of nature who relentlessly chased the truth no matter what obstacles were thrown at him, not the least of which were his struggles to extract payments from Mumbai film producers (Rishi Kapoor plays one with customary flair) and Lahore publishers. Manto, produced by Nandita Das Initiatives with HP Studios, Filmstoc and Viacom 18 Motion Pictures, zeroes in to the writer's last two years in Mumbai and ends with his financial, personal and legal woes in the newly-created Pakistan where he is hauled over the coals for his chilling short story, Thanda Gosht (Cold Meat). His brushes with the legal system and an increasingly unsupportive publishing industry send him into a tailspin even as he continues to produce incredibly power short stories. 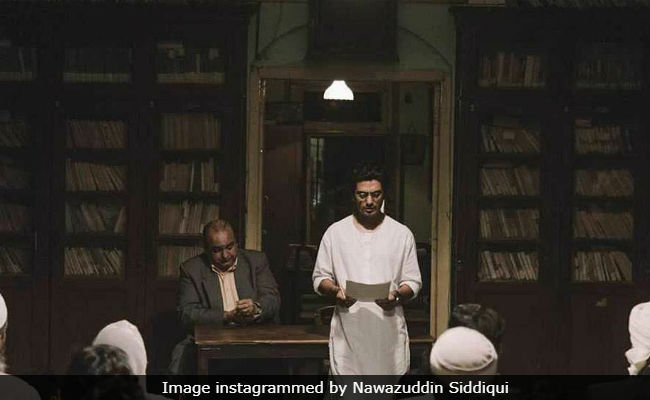 Manto, premiered on Sunday at the 71st Cannes Film Festival, is an undeniably important film - it could be, at a reasonable stretch, be described as the Garam Hawa of our times. The anguish and anger that the writer felt and articulated mirrors the alarm and distress that are raging today in the minds of right-thinking Indians who hold the idea of a progressive, socially stable and culturally diverse nation dear. Through the story of Manto, Das, in a way, puts forth her own worldview, but she does not do so in a manner that could be construed as in your face. There is empathy and thought in the film. There is in the film, in addition, a dash of humour and a sliver of hope that better collective sense could still triumph. 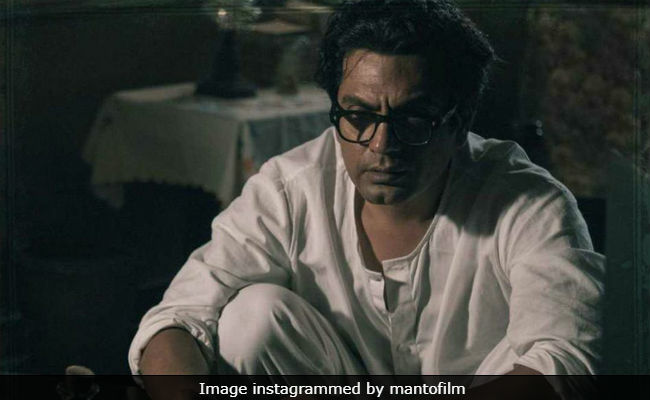 Manto is a highly watchable, immediately thought-provoking cinematic work that does not have to deliver sledgehammer blows quite in the manner of Manto's more confrontational stories. While some might find that underwhelming, the strategy actually enhances the impact of the film. What it does, and does very well, is direct pin-pricks at our conscience. They drill deep. 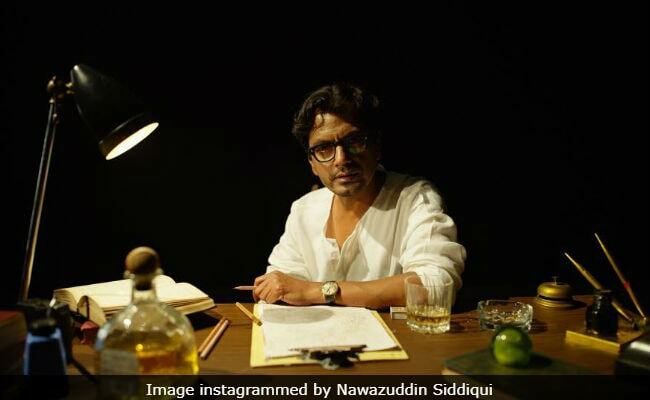 This is as much because of the depth of the screenplay as the quality of the performances of the key and not-so-key actors, with Nawazuddin Siddiqui bringing both restraint and rage to bear upon his performance as the troubled but defiantly uncompromising protagonist. He is phenomenally good, especially in scenes where he has to convey the minutest of shifts in emotions and states of mind. It is a stunning demonstration of minimalist acting. Rasika Dugal, in her longest big-screen role to date, serves as the ideal foil, becoming the moral centre of the writer's world. As the rock-steady Safia, the troubled author's wife and soulmate, Dugal is warmth and dignity personified. Tahir Raj Bhasin's flashy, mercurial Shyam is a counterpoint to the brooding, emotionally disturbed Manto. The young actor, totally in control of his faculties, not only contributes the film's lighter moments, but also the flashpoint for Manto's decision to leave Mumbai and head to Lahore. Each of the technicians - cinematographer Kartik Vijay, sound designer Resul Pookutty, editor A. Sreekar Prasad and production designer Rita Ghosh - adds sparkle to this fond, essential tribute to a man who eventually destroyed himself - Manto died at the age of 42 seven years after Partition - in the quest to pull the subcontinent out of its state of denial during the birth pangs of two nations.